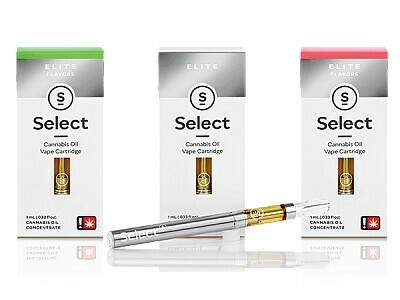 Our most popular product, Select Elite utilizes our proprietary, highly refined distillation techniques to produce an activated, broad-spectrum oil with the highest THC level possible. We reintroduce cannabis derived, strain specific terpenes at controlled levels to recreate flavor profiles and provide an entourage of effects. These unique procedures allow for an extremely high potency and smooth vapor, while still retaining the low viscosity required in a cartridge. All Select Elites contain an organic cotton wick designed to preserve the delicate flavor nuances of our terpene profiles, and ceramic core technology in our award winning hardware maintains a controlled, even temperature to allow for larger hits.